Dajbabe is a Serb Orthodox Christian Monastery in Podgorica. It’s located in a cave on Dajbabe hill (Dajbabska gora) in the Dajbabe village, which raises above Zeta valley. 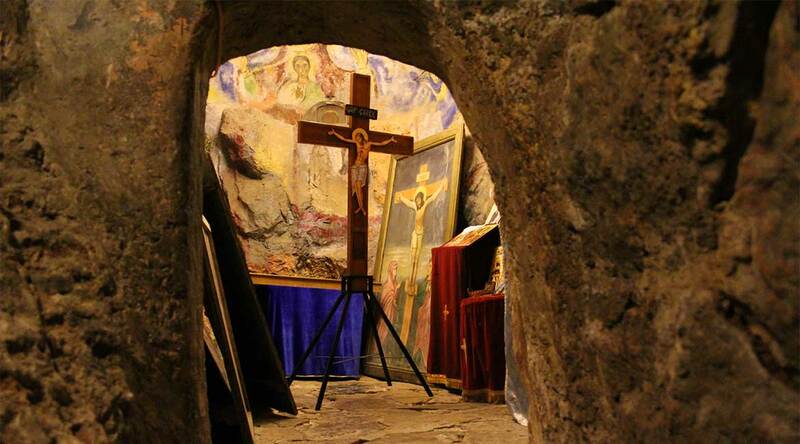 At the end of the 19th century, Archimandrite Simeon Popovic founded this monastery in a cave. The church-catacomb was discovered in the end of 19th or beginning of 20th century, by a monk from Cetinje who searched for it, following the vision from his dream. The altar is situated in the biggest of the three cave canals. On both sides of the entrance there are belfries connected by the roof construction, which also represents the eave of the entrance to the monastery – cave and is the only visible part out of the church.